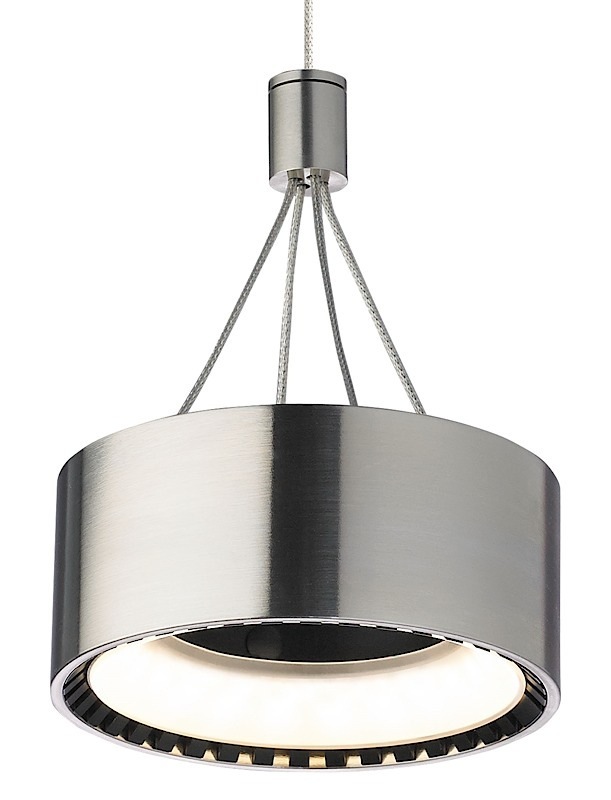 The Corum pendant has a unique metal design and features an LED light. Is open center, thin metal frame and exposed geometrical heat sink create a modern look. Inspired by the latest in automotive headlamp technology, when viewed from above, the center glows with a hint of illumination. Includes 7.2 watt, 550 net lumen, 3000K LED and six feet of field-cuttable suspension cable. 6" H measure from the bottom of the pendant to the top of the small metal piece.